What is Daily Bonus and how I can increase it? We give bonuses as free credits to our regular players. You can receive your Daily Bonus every 20 hours in the game. Amount of your Daily Bonus depends on the current player’s level and the amount of the completed collections. If you have already received “Daily Bonus”, the next will be ready to collect only after the time indicated on the timer. 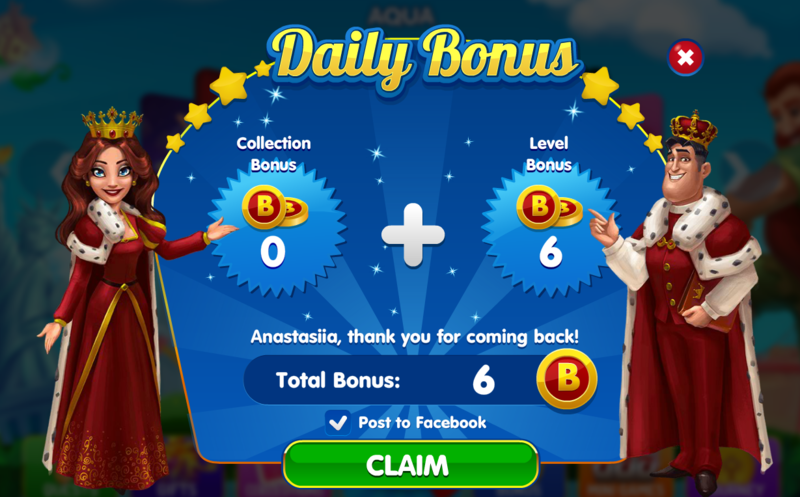 Increase to the “Daily Bonus” is added not at every new level.